A number of the musicians that were active around the Voëlvry scene in the 1980s died before their time. Three notable examples that spring to mind are Johannes Kerkorrel, James Phillips and Neil Goedhals, but there are more. The age of 27 seems to be particularly dangerous for musicians. Some of the famous stars who joined the so-called “27 Club” by dying at this age include, Jimi Hendrix, Janis Joplin, Kurt Cobain, Amy Winehouse, Brian Jones, Robert Johnson and Jim Morrison. So, do most popular music artists die at this age? Prof Kenny investigated this by researching the deaths of 11,054 musicians who died between 1950 and 2010 and for whom an accurate age of death could be determined. The results were interesting and indicate that the 27 club is a myth. Prof Kenny’s research revealed that actually the age of 56 is the most dangerous for musicians. Some well-known musicians who died at the age of 56 include Eddie Rabbitt, Tammy Wynette, Mimi Farina, Johnny Ramone, Chris LeDoux, Vandy “Smokey” Hampton, and Charles “Baby” Tate. 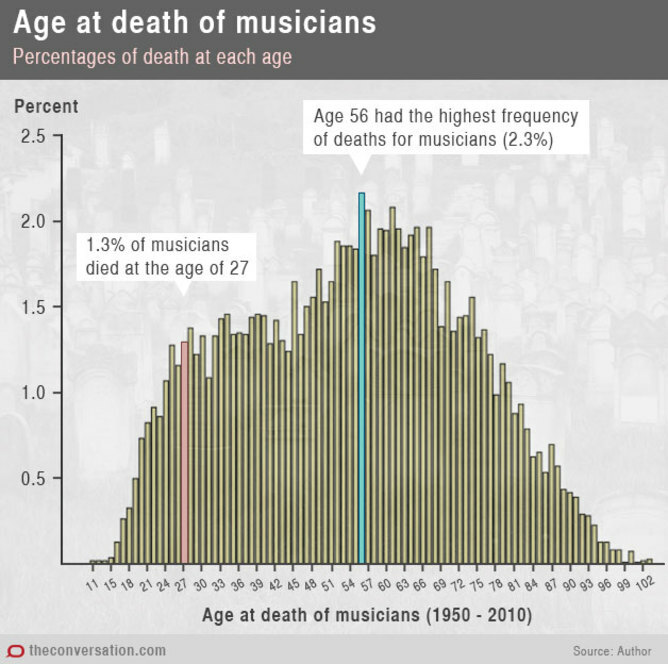 Here is a graph which shows at what age musicians that were included in this study were most likely to die. Although most popular musicians do not die at the age of 27, Prof Kenny’s research has illustrated that the life expectancy of musicians is far less than that of the normal population. Put simply, musicians do not live as long as people who have mainstream careers. In the USA, for example, musicians on average live 25 years less than the normal American population! 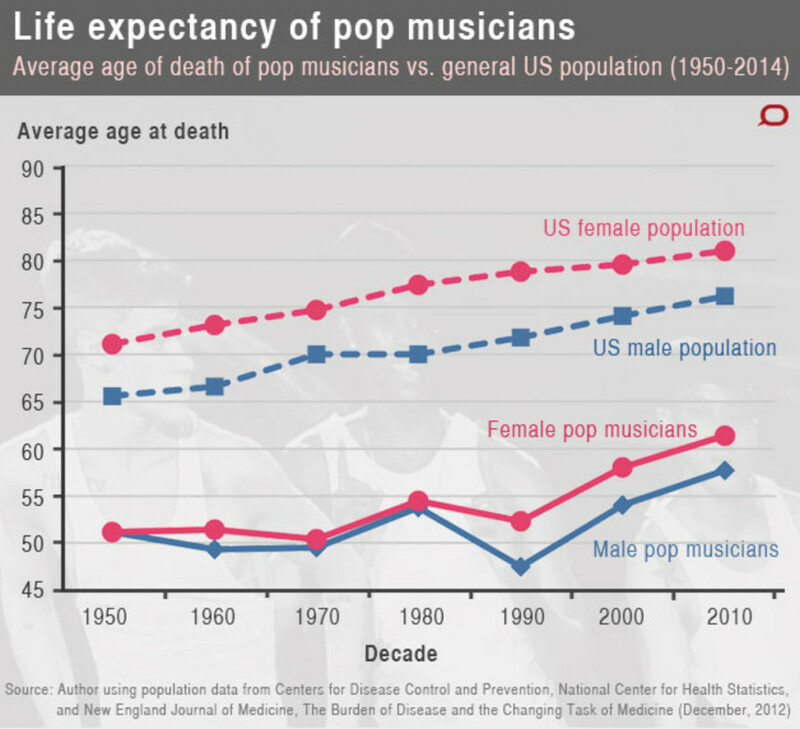 As can be seen by the graph above, both male and female musicians do not live as long as their counterparts who chose more conventional careers. Prof Kenny has also researched the cause of deaths of musicians. 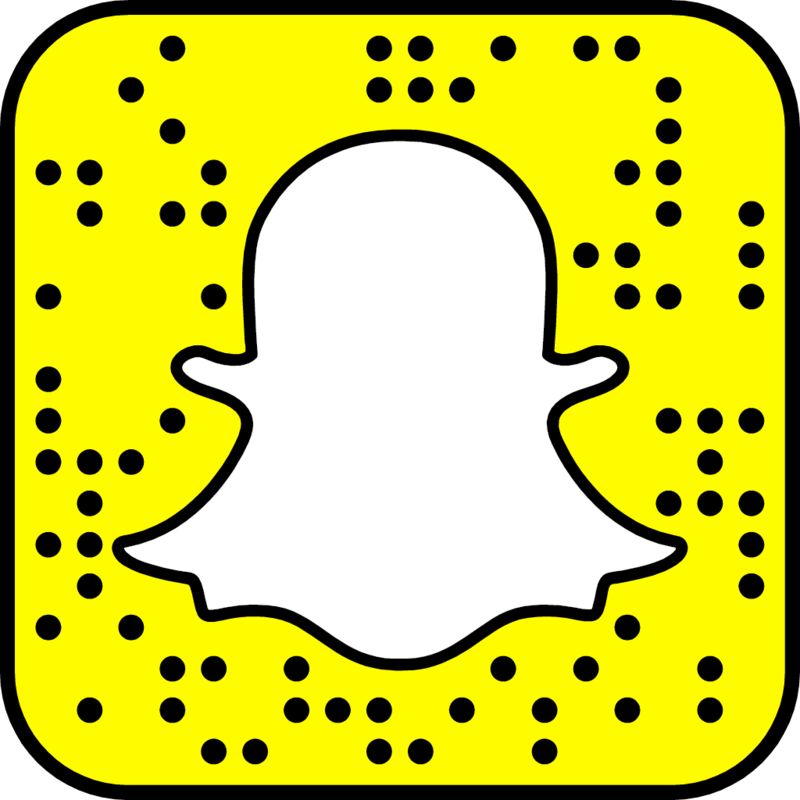 She found that musicians were five to ten times more likely to die of accidental causes, two to seven times more likely to commit suicide and up to eight times more likely to fall victim to homicide than the normal population! 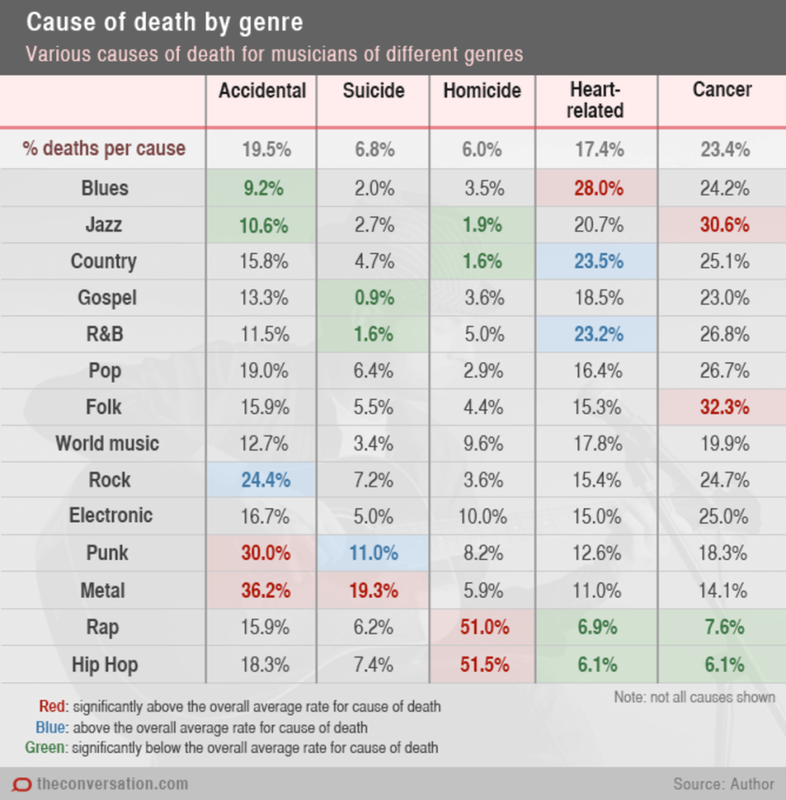 Another interesting finding was that the deaths of musicians differed, depending on the genre to which they belonged. 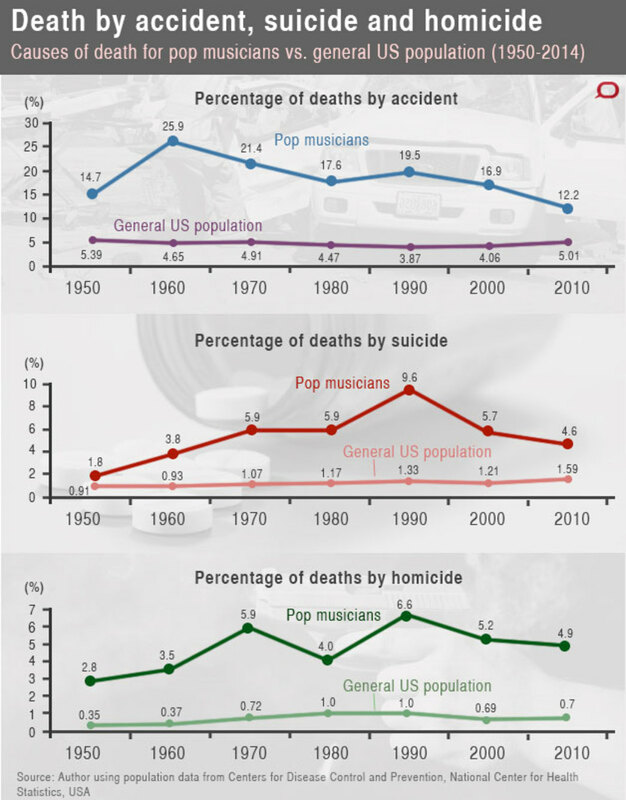 Male musicians were more likely to die from accidental deaths and those musicians in the rock and metal genres were most at risk of death as a result of accidental causes (including car accidents and accidental overdose). Murder accounted for many deaths in the hip hop and rap genre. Punk rockers and metal musicians were found to be more likely to die of suicide (11% and 19% respectively). Blues musicians were more likely to die of heart-related illnesses and folk and jazz musicians succumbed to cancer. Whilst Roger Daltry has survived to a ripe old age, the lyrics of The Who’s My Generation “I hope I die before I get old” are in fact, very much the truth for musicians. Link to Prof Kenny’s original research over here and here and here.